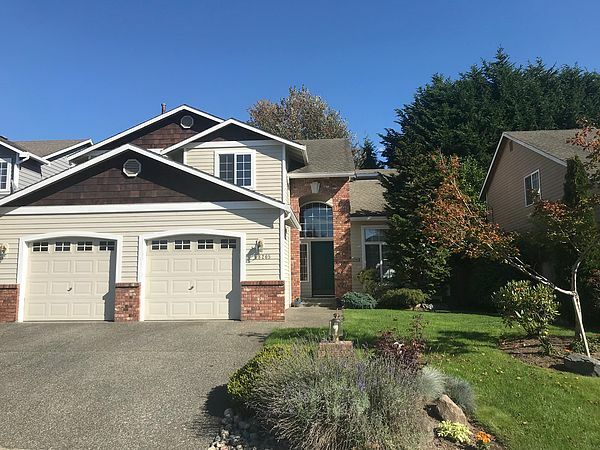 Well maintained and upgraded 1 owner home boasting 4 bedrooms and 2.5 baths in the popular Cardinal Run neighborhood of Bothell. Upon entering the foyer with hardwood floors you come into the formal living room with vaulted ceilings which leads to the formal dining room. The spacious gourmet kitchen also sports hardwood flooring and an island with additional storage.The kitchen also enjoys an eating space and a slider to the aggregate patio and the fenced yard.The family room off the kitchen is quite large and has a warm gas fireplace. Dont miss the half bath and the large home office that also is on the main floor. Pleasant yard with attractive plantings in front & a fenced backyard. Just down the street you will find the neighborhood playground. Tenants will be responsible for the utilities. Located in the popular Northshore School District. Call Karen for an appointment to see this wonderful rental home at #206-795-2091. Available for viewing after April 22nd, available for occupancy May 15th, 2019.